We at Premier Glazing Keighley pride ourselves on always providing the very best service to all our customers. We have a proven track record of good customer service and excellent customer satisfaction. From helping you design and select products, throughout the installation process and beyond, we’ll be on-hand to offer you advice and support, as well as listening carefully to your requirements. Excellent customer service and high quality products are the reason of our success. You can be absolutely confident that the builders and installers who arrive at your home are competent and trained in the work they are to undertake and have vast experience completing many installations throughout West Yorkshire. All work carried out is of the highest standards and made from quality long lasting materials. We offer a 10 year insurance backed guarantee with all window and door installations. We are members of governing bodies such as Certass who monitor our jobs to confirm we manufacture and install according to Government endorsed standards. By installing our expertly manufactured A-rated windows, you will enhance your home and increase your comfort while enjoying that all-important peace of mind. Each frame offers superb protection all year round plus thermal insulation that keeps your home warm, dry and draught free. 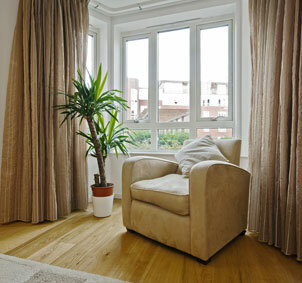 Double glazing is also a great way of reducing energy bills and reducing your Carbon Footprint. For more information about our service, and to book a free, no obligation quote, call us on 01535 681800.